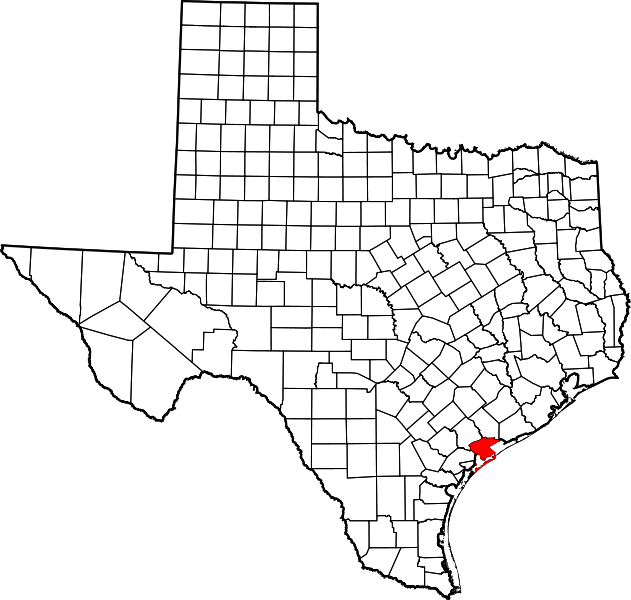 "The first Anglo settlement site now in the county was at Linnville, where in 1831 John J. Linn established a warehouse and wharf three miles north of the future site of Lavaca (later Port Lavaca). Comanche Indians collecting horses sacked and burned the settlement during the Linnville Raid of 1840 before being pursued and defeated. 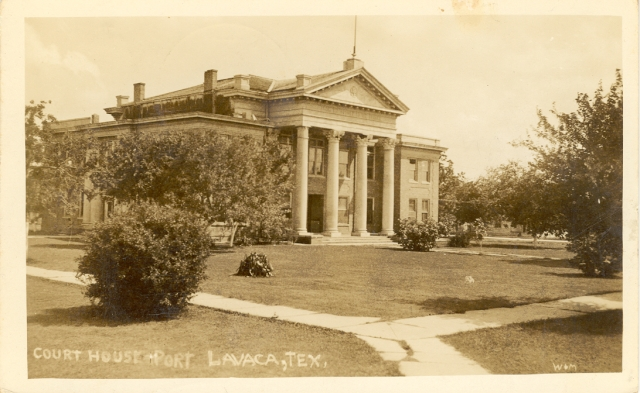 The inhabitants escaped by boat to a bluff about three miles away, where a few men who operated a ware-house welcomed them; this was the beginning of the present town of Port Lavaca. 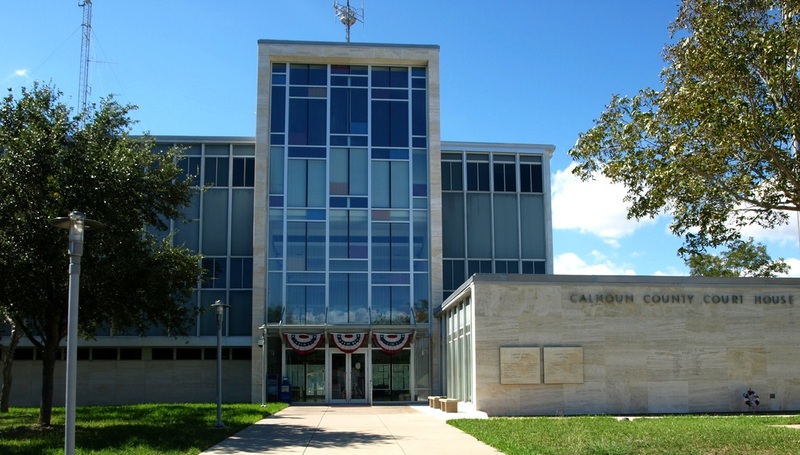 "On April 4, 1846, Calhoun County was formed from parts of Victoria, Jackson, and Matagorda counties and named for John C. Calhoun of South Carolina, who had advocated Texas statehood. 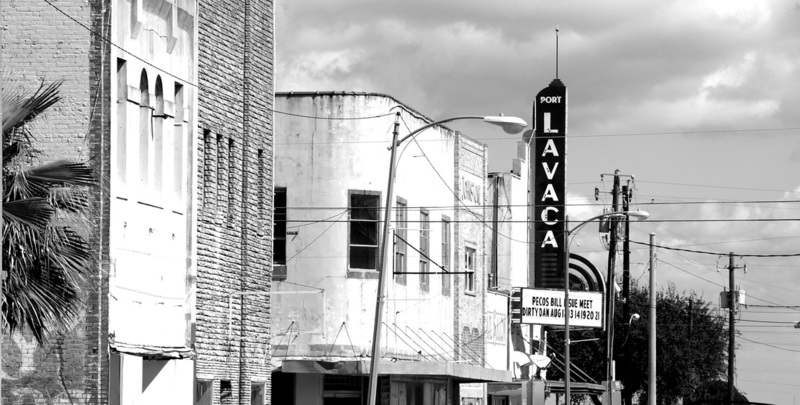 Lavaca was the first county seat. But, as a result of the development of the Indianola Railroad, ..., and a shift of population, Indianola became more important and was made county seat in 1852. 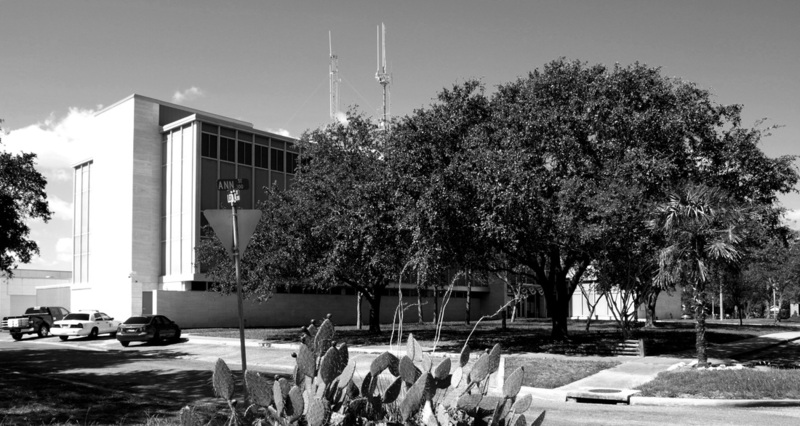 "A fire in 1867 destroyed buildings at Indianola, and a yellow fever epidemic reduced the population. 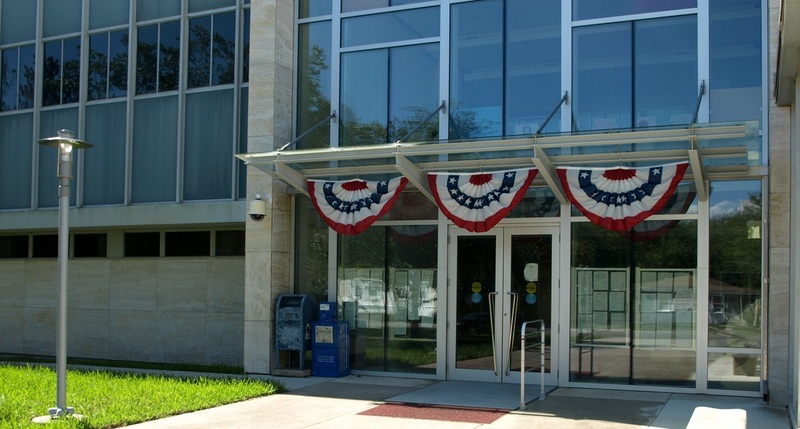 In 1875 a Gulf storm brought heavy damage to Indianola, which recovered only briefly before a tidal wave virtually destroyed the community in 1886. 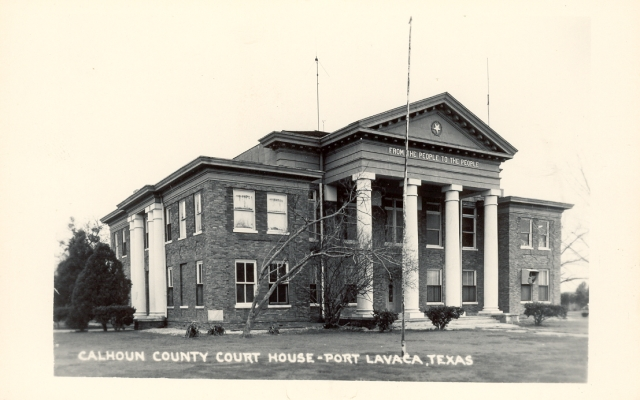 Lavaca, renamed Port Lavaca, became the county seat again in 1887, the post office and courthouse were moved there, and Indianola was never rebuilt." 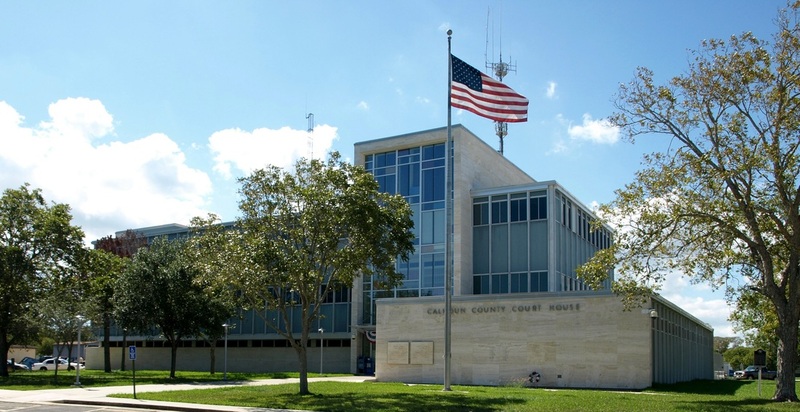 I visited Calhoun County and photographed the courthouse in Port Lavaca on Sunday, October 16, 2011. 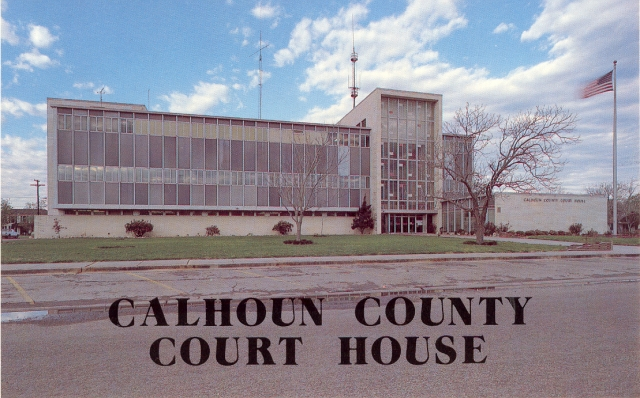 This historic courthouse was demolished in 1959.